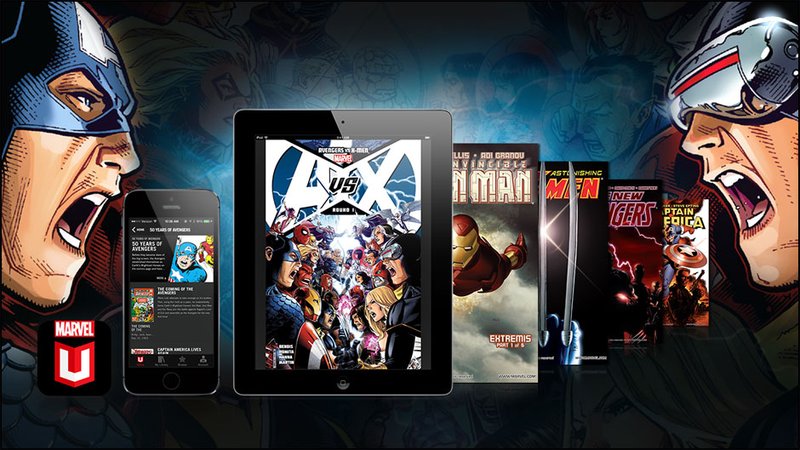 Marvel fans will soon be able to access over 15,000 comic books through its Marvel Unlimited iOS and Android apps. The titles in their collection span Marvel’s 75-year history and include all the classics that everyone loves. Marvel is offering its customers access to all its comics for one month at a one-time fee of $0.99, during a promotion for the company’s activities at SXSW. Through the iOS app users can download up to 12 comics at a time to their personal library, which enables offline reading for on-the-go access. Following the month-long promotion, users can continue to subscribe to Marvel Unlimited for $9.99 a month or $69 a year, or $99 per year for their premium plan which gives users access to additional discounts. Last year, Marvel announced a similar offer where they gave 700 number one comic book issues away for free, which overwhelmed comiXology’s servers. Hopefully, the same server issues will not happen this year. Fans can access Marvel’s offer on the company’s website beginning Saturday, March 1 up until March 14. Use the offer code SXSW99 when purchasing a monthly subscription plan to get the first month of your Marvel Unlimited monthly membership for just 99 cents. Marvel Unlimited for iOS is available as a free download from the App Store.